Singapore Zoo. I recommend Amazon River Safari Cruise. There is also another called River Safari Boat Ride, but it's rather boring. Marine Life Park is the biggest oceanarium in the World. 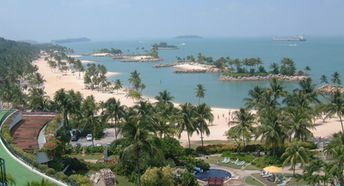 It is located in Sentosa island. There is another oceanarium in Sentosa - called Underwater World.